I smiled – but not too much. I wanted to respect how serious he was. “How many have you caught?” I asked. “Lots,” he answered, and then he ran by me, onto the next imaginary foe. And I smiled. Dinosaur traps: My son was keeping us safe from unwanted guests. 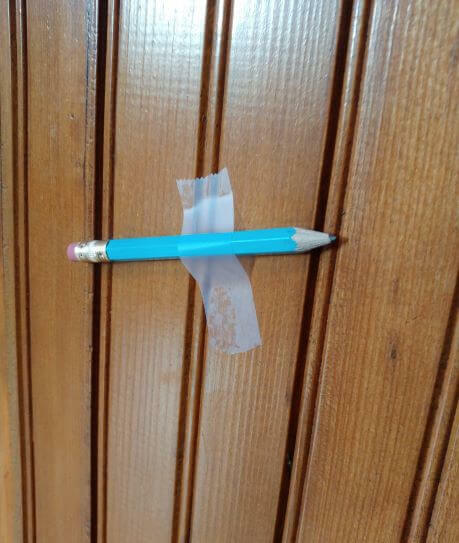 Perhaps a few teams could benefit from taping pencils to the walls of their meeting rooms – not to trap dinosaurs, of course, but to remind those gathering how easily it is to fall into traps in our thinking that close the door on possibilities and opportunities. For example, when it comes to effective cross-functional collaboration, perhaps the most common trap is when team members use trite and destructive stereotypes when talking about those people from other functions (you pick it…HR, finance, IT, engineering, sales…the list goes on). When this occurs – wammm! The trap slams shut: The team immediately commits to a future that looks a lot like the past. Sadly, it’s often a past that never really was, a past that was born merely from a singular, sad story that got blown out of proportion. Watch out for dinosaurs: What traps in thinking might your team see in the path ahead? And what are you going to do to defuse those traps? P.S. My friend, David M.R. Covey, and his co-author, Stephan Mardysks know about traps – and have written a terrific book about how you can avoid them. Check it out: Trap Tales: Outsmarting the 7 Hidden Obstacles to Success.